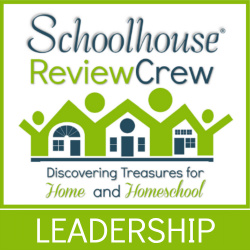 Each month I will be joining with other members of the Old Schoolhouse Review Crew to discuss different aspects of homeschooling through the high school years. This seems to be a topic that many parents become concerned about. There is the pressure of extra requirements, transcripts, course selection, and preparing for what comes after high school. We hope to address these and other questions as we share a new topic each month so that you will know that it is possible and good to homeschool through high school. Mark your calendar for the following dates to join us for lots of ideas and resource sharing. November 25 – How do you fit it all in ? See you all on June 24th, when we begin our series by chatting about “Planning for High School”. My four are between Grades 1 and 6, so I have a few years, but high school definitely seems intimidating. So, I’m looking forward to tidbits of wisdom from those who have gone through this. I am excited to share our experience so far in having just graduated our first and having three more to go as well as reaping great knowledge from others that will be posting.